You want to lead a happier, more fulfilled life. If you're reading this, you already suspect that hypnosis or meditation could help you. Even for people who do both, it's easy to get them confused. They are both extremely beneficial. Both induce deeply relaxing and calming states of mind. Both can help you feel more positive, calm and stress-free. But, are they the same thing? What do you think hypnosis is? Once you understand that, you'll be able to enjoy both. Sometimes that means complete focus on a task. Sometimes it means "spacing out." But it happens to everyone all the time. Like when we are so involved in a creative project that we lose track of time. Or when we are driving and find ourselves at our destination, as if we're waking up at that moment. Or when we are watching a movie and get fully engaged in the story. We don't always call it a trance, but that's what's happening. And your brain does the exact same thing when you are meditating or are in self-hypnosis. Imagine you're standing in a wonderfully magical forest. It's almost night, and the sky is a beautiful indigo blue. The stars are coming out, and you can hear the sound of crickets in the distance. Whether you're listening to a guided meditation or a hypnosis track, you're likely to hear something similar. Whether you call it hypnosis or meditation, the outcome and the experience are the same. They key is to focus on what you want. Many meditations involve a mantra - key phrases that you repeat to tune your focus. Hypnosis will also repeat certain words, or phrases, or suggestions. 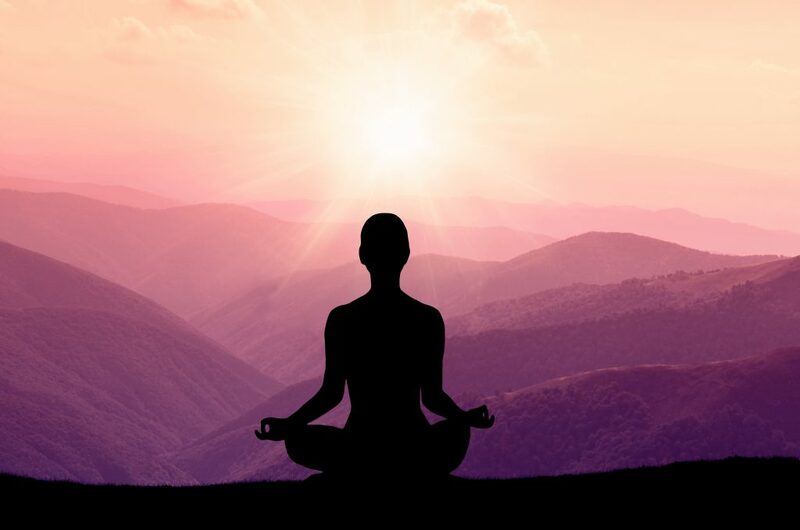 The actual words may differ between different practices of meditation and hypnosis. But the experience is the same. You enter self-hypnosis with a goal in mind. ... quiets the critical factor of the mind so that you can make that change. It's that little voice in your head that says "Yeah, but..." when you think of what you should or shouldn't do. "You know smoking is bad for you?" "You know you shouldn't drink so much Diet Coke?" "You know you are absolutely capable of doing this?" It's what keeps you stuck. Feeling like you can't change. Don't get me wrong, the critical factor is a good thing. It's great for evaluating information. For making quick judgments. But it's not there to direct behavior or emotions. And when we try to use our "logic" to make that change the critical factor disrupts the process. So hypnosis will bypass the critical factor. And with the critical factor out of the way, the suggestions and affirmations can sink in. That's when real change happens. Meditation, on the other hand, is not directed at a specific goal. In its purest form, it is the complete emptying of the mind. It usually involves trying to concentrate on and contemplate only one thing. You could meditate on a physical object, like a crystal, a lit candle, or a flower... Or an imaginary object –picturing it very clearly in your mind. And as you do, you're thinking deeply about it. ... indeed everything about it. The aim is that you keep your mind totally focussed on that one object. For the duration of the meditation, to think of nothing else at all. Or you could meditate on a concept, such as forgiveness. Again, the purpose is simply to explore everything about the concept. In this case, you would explore just what forgiveness really is, what it really means. There is no particular point that you are trying to reach. Evaluating only how well you managed to keep your thoughts from wandering away. There is no desired outcome from meditation. There is only calm, focused thought. Sometimes you will gain insights while meditating like this. Those moments can be illuminating, satisfying and even exciting. But it is not the purpose for meditating. The purpose is in learning to discipline the mind. And it brings about a distinct feeling of calmness and clarity of mind. One could say the only real goal is to learn such complete discipline that you can experience the total absence of thought. Very few people actually achieve that. But it doesn't matter. The goal itself is almost incidental because the process is both enjoyable and beneficial. Both self-hypnosis and meditation are pleasant, positive experiences. Both have helped enormous numbers of people to lead happier, more fulfilled lives. The two disciplines meet and overlap in many ways. And one is often confused for the other. What matters is your outcome. Then there are several different types of meditation practice to choose from. Give some a try and find what works for you. But if you are looking for a way to create positive, measurable change in your life, then look into self-hypnosis. Go to http://www.selfhypnosis.com/ and see how easy and effortless change can be. Previous Post Self-Hypnosis Recording vs Live Hypnotherapy Next Post What Does Hypnosis Feel Like?